"dead" sounds nice - "So what's your strategy?" Dagobah is the planet where Yoda mentors Luke in the ways of the Force, if this doesn't immediately get the Weird Al song stuck in your head. I srsly grew up on Star Wars, though. Mmm, nostalgia. Uhhh... I also have been meaning to mention for an entire week that the ChapStick that I thought was going to be strawberry is actually "blue crazeberry." This means that it's blue, obviously, though it doesn't turn my lips blue, which is slightly disappointing nice. It also means that it smells rather a lot like cotton candy, which is pretty cool except for when I'm really hungry and my own mouth smells like food. Today I saw a bicycle cop and was very amused at the way everyone started driving more carefully while he was toodling around. "I DEMAND THAT YOU PULL OVER BEFORE YOU GET TO A MAJOR HIGHWAY. DON'T MAKE ME RING THE BELL!" ...but then I saw three really pissed-off looking cops rescuing a dog from where it had been left in a black car out in the sun, which completely redeems my faith in our justice system. It was unreasonably hot today after being deceptively pleasant yesterday. Mother Nature is such a tease. I think my Theater 11 teacher might be my favorite professor purely by virtue of the fact that he has let us out early every single day of class so far, once he's run out of stuff to do. It doesn't hurt at all that he canceled class on Friday because the Bay Bridge is going to be closed, and the last time he had to find an alternate route, it was "the most hideous morning of [his] life." ...you know those headaches where you feel like somebody's peeling a thin layer of cranial matter off of the inside of your skull like carving a pumpkin? Which is my excuse for the fact that I really didn't edit the fics as well as I should have done. The fics being: the long-awaited, over-hyped FROST, for icequeenrex, in which Adrian meets the TARDIS crew XD, and FIRSTHAND, which is Light/Mikami for happy_mystic. Must find something for Tierfal's b-day...what do you want? I have no creativity and haven't seen Eltea so I can't just piggy-back on her huge present (which I'm sure she's doing because it's Eltea :P). 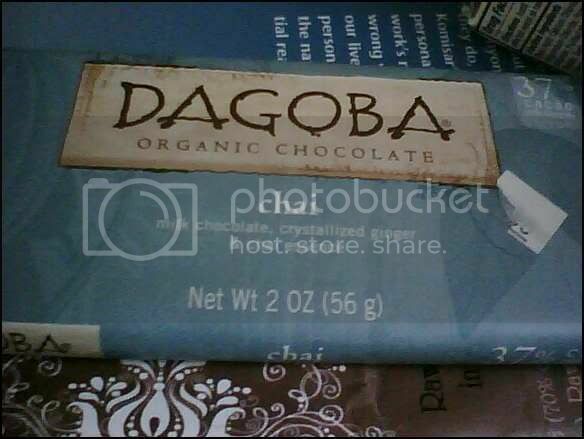 I said something about how we sell Dagoba chocolate at my family's store, but I didn't know about the planet thing. Then I had the word glitter in a scrolling marquee and felt sorry for your brain. Yeah, I took medicine for it in the early afternoon, but it was like, "lol have fun" and didn't help, so I... just dealt with it. XD Sleeping almost always cures me, and it did this time, so that was nice. AUGH THOUGH I had forgotten about your evil wisdom teeth!! ;___; I hope that works out, ajklfjdslk. ._. Brain is broke... and apparently so was yours yesterday. How's it today. One shouldn't feel ill so close to their birthday, no? I'd recommend certain things to appease the headache gods, but since I've been getting migraines since third grade, only darkness and sleep seems to do so for me... oh and sometimes this medicine that sets my head on fire, so I am not allowed to take it anymore. How's that for empathy? Uhm... now back to your problem. Sorry... feel better soon? Oooh Star Wars. That takes me back. For the record, that did get the Weird Al song stuck in my head. You may have been raised on Star Wars, but I was raised on Weird Al records. Muahahaha. Ahem. Point is, I needz to find some of that chai-choco. It sounds super yummy. It also means that it smells rather a lot like cotton candy, which is pretty cool except for when I'm really hungry and my own mouth smells like food. Ooh, and birthday time! What would you like by way of presents, my lovely?